Silhouette. 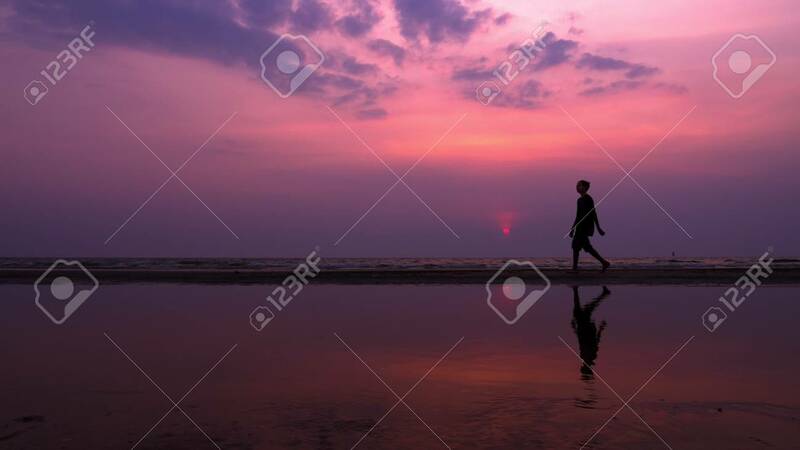 Lonely Asian Young Man Walking Peacefully Along A Deserted Beach At Sunset. Seascape Royalty-Vrije Foto, Plaatjes, Beelden En Stock Fotografie. Image 116129670.